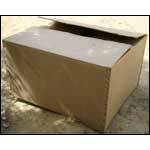 We are proud to introduce ourselves as one of the famous manufacturers of corrugated shipping boxes. Our wide ranges of products comprises of corrugated boxes of various models such as heavy duty, plain, multicolor printed, laminated, die cut, slotted, corrugated shipping boxes. 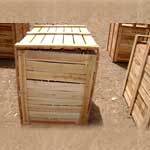 We also offer you a comprehensive range of wooden boxes, knocked down box, wooden crates, ply boxes, cable drums. 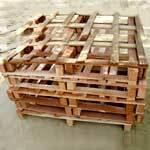 In addition, we are placed among booming wooden pallets manufacturers and suppliers of India. 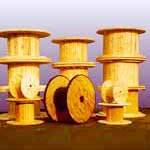 With focus on customer’s needs, we are committed to offer qualitative & Eco-friendly wooden packaging materials. 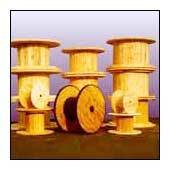 Made from best quality wood & paper, our products exhibit long lasting life and are suitable for packaging & transporting of various types of perishable & non-perishable items. We provide best services at the best prices through innovation. Our aim is to lead the industry by the virtue of constant focus on new product development to provide better solutions for the future. 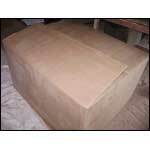 Boxes are made of kraft and semi paper of GSM (120-150 GSM of SEMI and 180 – 350 GSM of Kraft with Burst Factor of range from 18 BF to 35 Kgf/Cm 2). 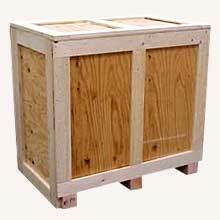 We can make any size of heavy duty corrugated cardboard box( extra large single container), and we can supply in heavy duty cardboard double wall corrugated cardboard for extra load capabilities triple wall corrugated cardboard the double and triple wall corrugated cardboard which is good for heavy or fragile/bulk items being sent abroad, export packing or for re use. 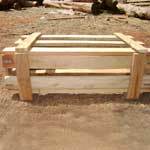 In wooden packaging, we manufacture customized as well as standard EURO PALLET, wooden crates, wooden boxes, ply boxes and cable drums in neem, kikar ( babool wood ), and pine wood suitable for warehousing purpose, exporters and domestic market.